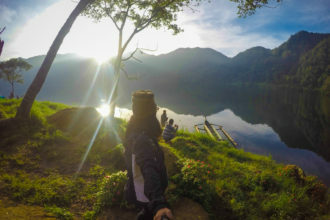 My trip to Lake Sebu, South Cotabato was special. Because, after three long years of failed plans and dreams, it finally happened. But you know, even when the Universe puts you in a place at the right moment and time, it does not mean you are going to be immune of any travel mishaps. Such is the case of my whole stay in this beautiful municipality at the southern part of the Philippine archipelago. 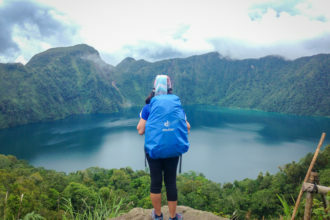 Right after my spectacular trek to Lake Holon, I parted ways with my newly-found friends in order to proceed to our next destination. While they traveled all the way back to Davao, CJ and I got off at Surallah, South Cotabato to charter a van going to Lake Sebu. It was raining hard when we left Lake Holon and upon our arrival at Lake Sebu, the weather has not changed a bit. 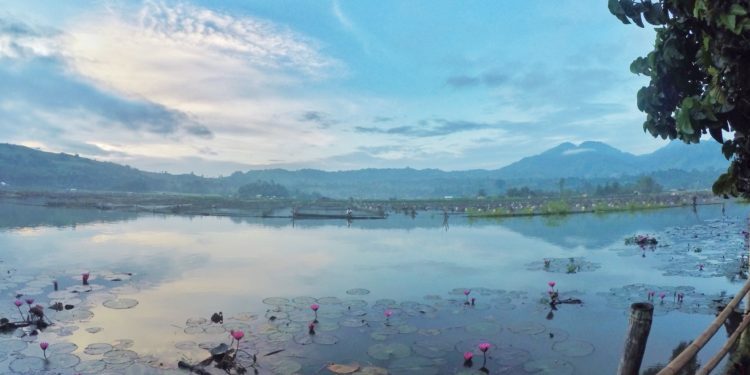 Fortunately, we were dropped off exactly at the entrance of Lake Sebu School of Living Traditions – a homestay where you can experience how to live the Tboli way. A home away from home! 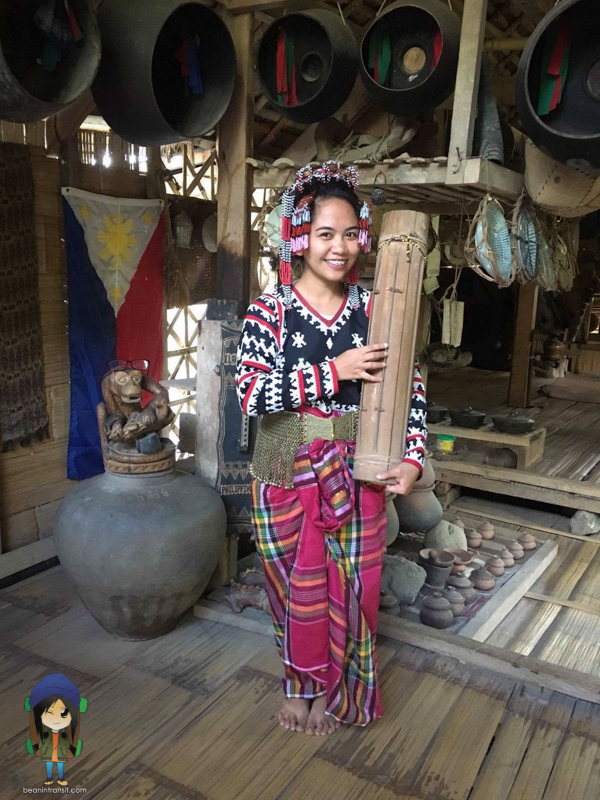 If you are planning to go to Lake Sebu, South Cotabato, I highly suggest staying at Lake Sebu School of Living Traditions. @foureyedlaagan and I stayed here for one night and we were able to immerse ourselves into the Tboli culture. It was one valuable experience! I will be writing about my experience in this place soon. It was already around 2 or 3 in the afternoon when we arrived. We haven’t taken our lunch yet so despite the unpleasant weather, we had to find a restaurant first to satisfy our growling tummies. The restaurant we found offered us a spectacular view of the lake and the food was also great. The view of the lake is still beautiful despite the gloomy weather. 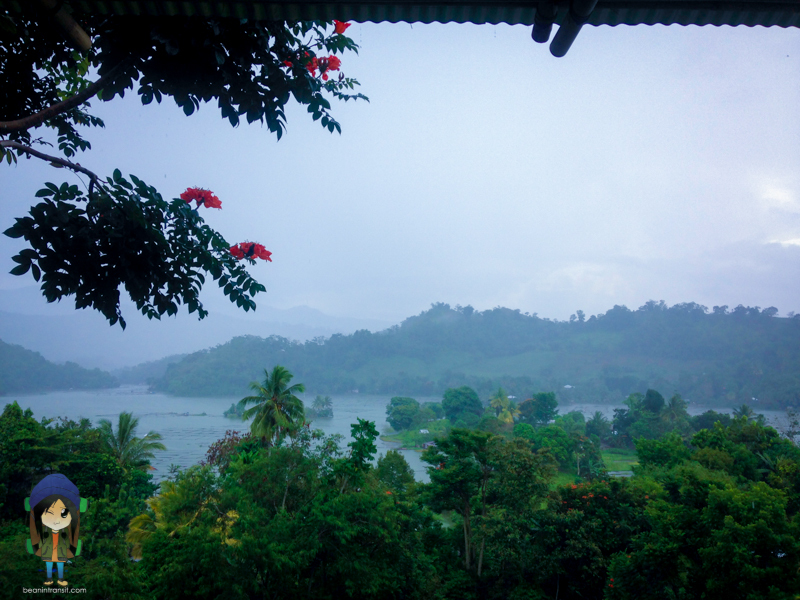 It was when we went back to SLT that we learned of our travel mishap number 1 – we can’t go zip lining to the famous 7 Waterfalls of Lake Sebu because of the weather. Now, that would have been fine if we had all the time in the world. But we couldn’t afford to extend a few more days because we have to get back to General Santos City the next day, in the afternoon. But what else can we do? We had no choice but to do it early in the morning on the next day. The weather was utterly merciless to us. Because of the heavy rains, a tree fell off that knocked out the power lines connecting to our homestay. While the electricity of all the homes in the neighborhood went back to normal that evening, ours didn’t. Our shared room was only illuminated by a single lamp plus our mobile phones. That night, we met a new friend, a solo traveler – Marisol. Had it not been of the power outage, we wouldn’t have shared a special evening with her. It was just the three of us in SLT that night. She couldn’t charge her mobile phone and power bank because there was no electricity. I was worried that mine was also going to be out soon. So the three of us had no choice but talk to each other in the dark. Before we were provided with a lamp, we couldn’t see each other’s faces. It was a great experience. We talked a lot of things that made us laugh. 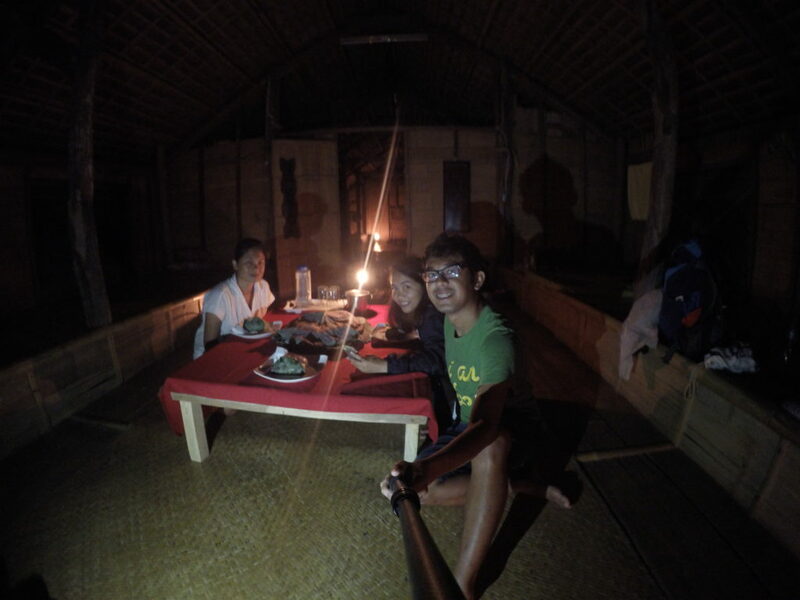 We even experienced a satisfying candlelit dinner, the Tboli way. Life wasn’t that bad after all. It was still dark when we left the hut the next day. 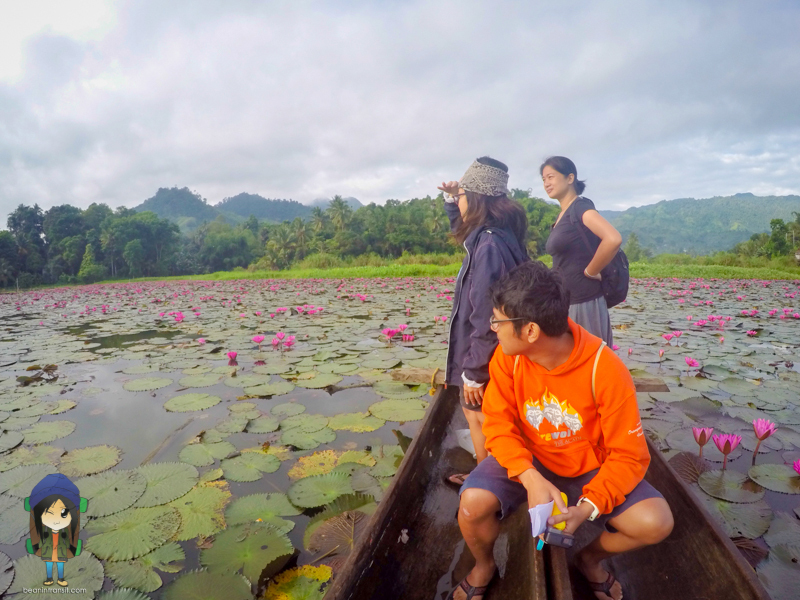 We wanted to catch a spectacular view of the sunrise at the spot where hundreds of waterlilies lying beautifully on the verdure. So, we looked for a motorcycle driver that would take us to that spot in the lake. But you know, the Universe really wanted to play a little joke on us that morning. We were dropped off at the opposite side of the lake! We were laughing so hard because of the hilarity of our situation. It wasn’t all that bad though. We got to see the vast fish pens surrounded by a few waterlilies. It was still a sight to behold. Intermission: Because not everything about this trip was a misadventure. Even though we did not catch the sunrise where it was supposed to be, we still decided to go. That’s when we met Kuya Mark. 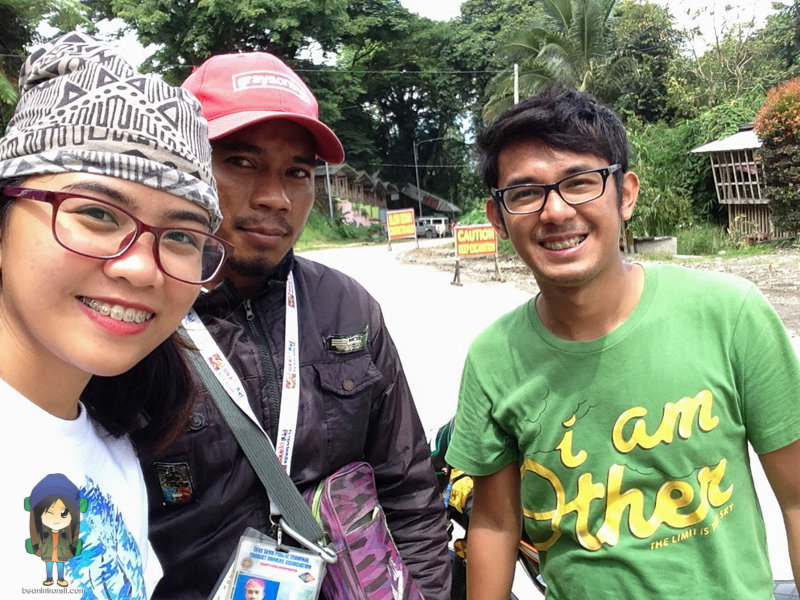 Kuya Mark is a local motorcycle-for-hire driver and at the same time, a trustworthy guide from the Lake Sebu Tourism Office. 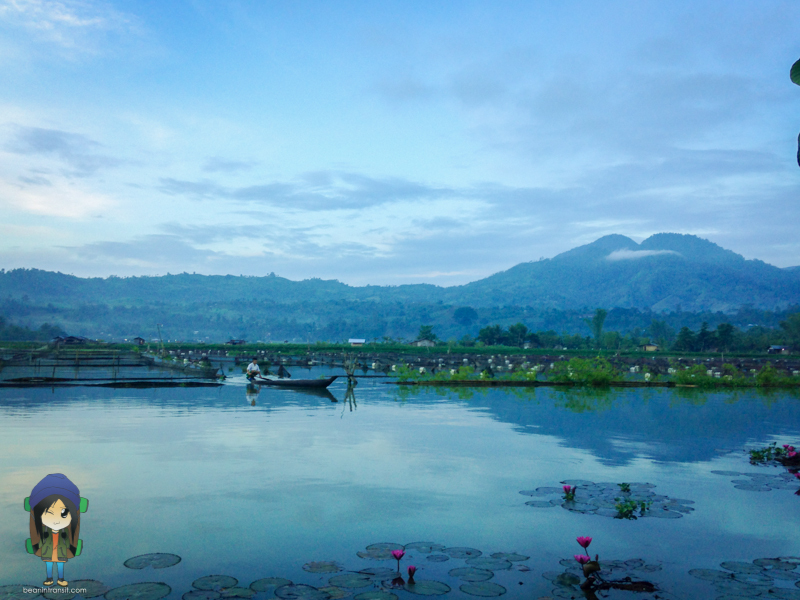 He drove us to that exact spot where you can witness the jaw-dropping beauty of waterlilies. I didn’t even immediately take photos upon arriving. I had to pause for a few minutes and just watched the whole view. It was that beautiful. Right after that, we proceeded to the museum. I was able to see a lot of Tboli artifacts and even got to try on a traditional Tboli woman costume! Man, it was an awesome experience. 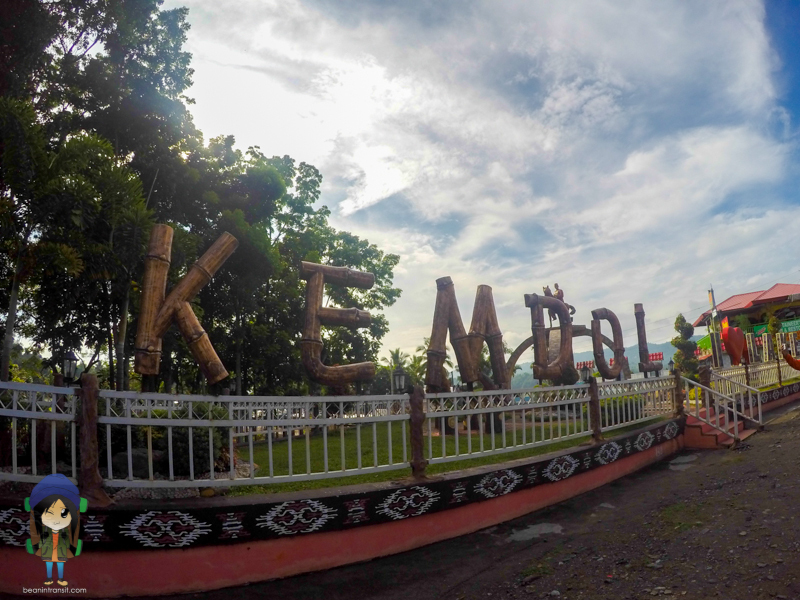 We also went to the Lake Sebu landmark where you can see a huge sign saying “Kemdol”. Kemdol, in Tboli, means moving forward or moving on. 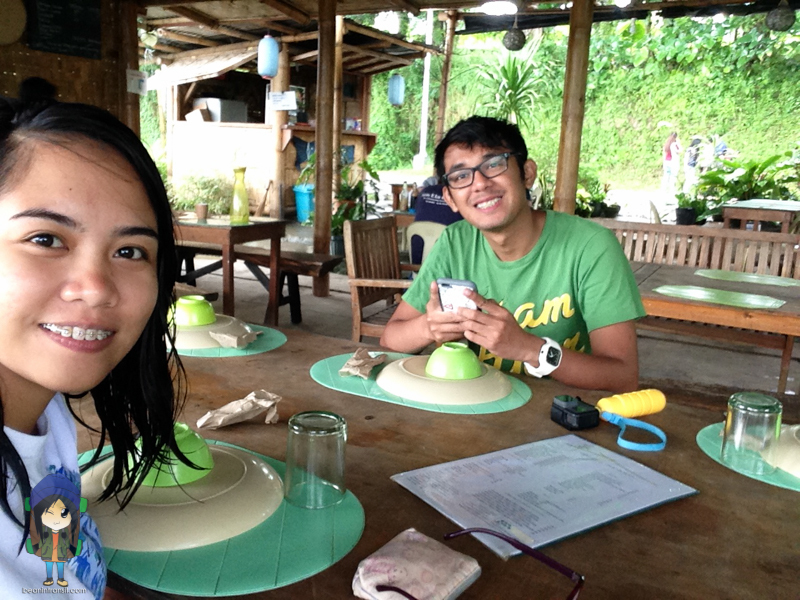 We went back to School of Living Traditions to eat breakfast first before proceeding to the 7 Waterfalls of Lake Sebu. I was in the state of euphoria while we were in transit. It was a lifelong dream to experience the famous zip line and see the 7 Waterfalls of Lake Sebu with my own eyes. But only seconds after our arrival, we were welcomed with a very disturbing news. The zip line operations were temporarily suspended because a foreign tourist sneaked in and jumped in Falls 2 – ending his own life. It was a disheartening moment. But despite the suspension, trekking to the only two accessible waterfalls by foot, Falls 1 and 2, was still allowed. What else can we do? So we grabbed the chance and trekked all the way to these majestic waterfalls. Hikong Alo. The first of the series of seven waterfalls in Barangay Lake Seloton, Lake Sebu, South Cotabato. 700+ buwis buhay steps to reach Hikong Bente or the 2nd of the series of seven waterfalls in Lake Sebu. There is always fun in every misadventure if you take time to look for it. My biggest takeaway from my Lake Sebu trip was to make the most of what the Universe wants you to experience in a particular moment. I also believe that whatever we go through in life is always the right thing at the right time – even the bad ones. Failed relationships, misfortunes in life – they all happen for a reason and they are all supposed to happen. Life is like a color wheel. There will always be times when the arrow points to the darker side of the spectrum.